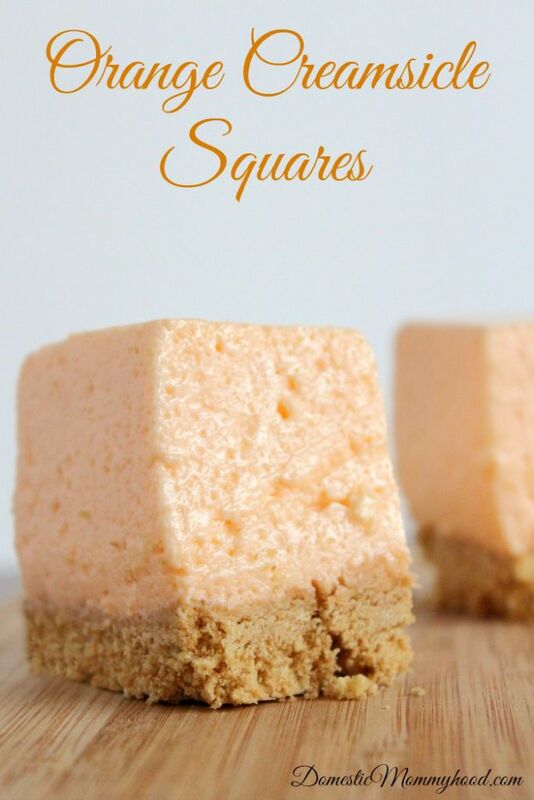 If you are looking for something cool and creamy and delicious these Orange Creamsicle Squares are absolutely scrumptious! They are super easy to do and don’t take a lot of time. These will be a big hit at your summer party this year and the kids will absolutely love them! 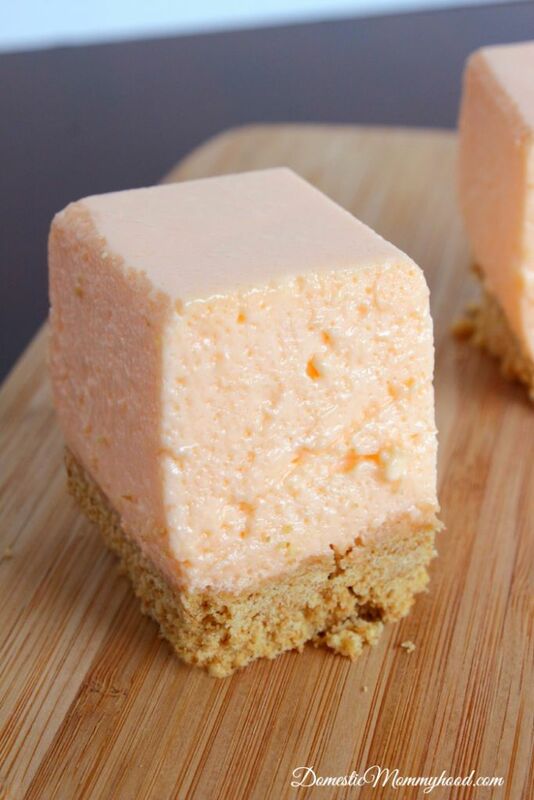 So grab up your ingredients and let’s get to making some fabulous Orange Creamsicle Squares! Combine the Graham cracker crumbs and Butter and mix until thoroughly combined. Press Graham cracker mixture into the bottom of an 8×8 inch baking dish lined with parchment paper. 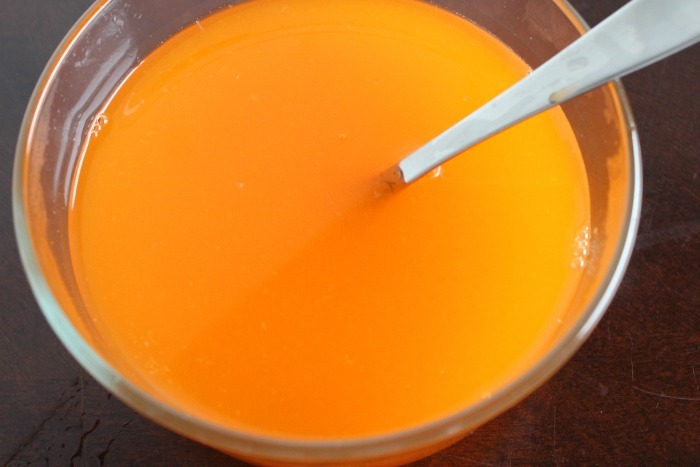 Add the Orange juice stir to mix completely and set aside. In a mixing bowl beat the Cream cheese until fluffy. 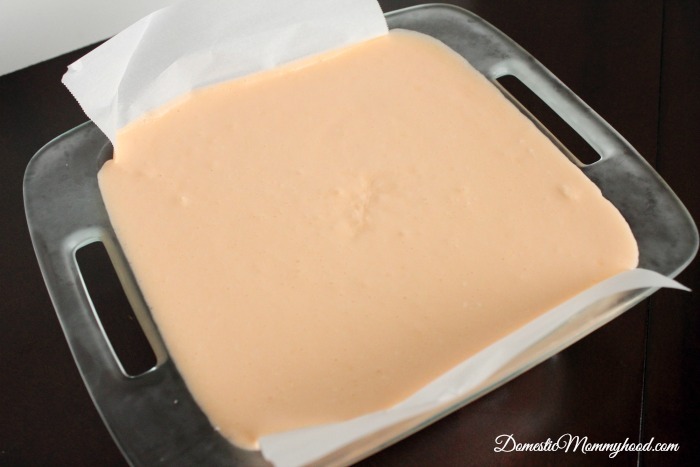 Add the Condensed milk and mix until smooth. Add in the gelatin mixture and mix until combined. Pour the mixture over the Graham crust and place in the refrigerator until set, about 4 hours. Serve immediately. Store in airtight container in the refrigerator. Hi! Stopping by from DIY Sunday Showcase. This looks so yummy! I am also wondering what size cream cheese. Is it the rectangular package? Thanks for sharing! How can I print this recipe for personal use? This looks delicious and very light.